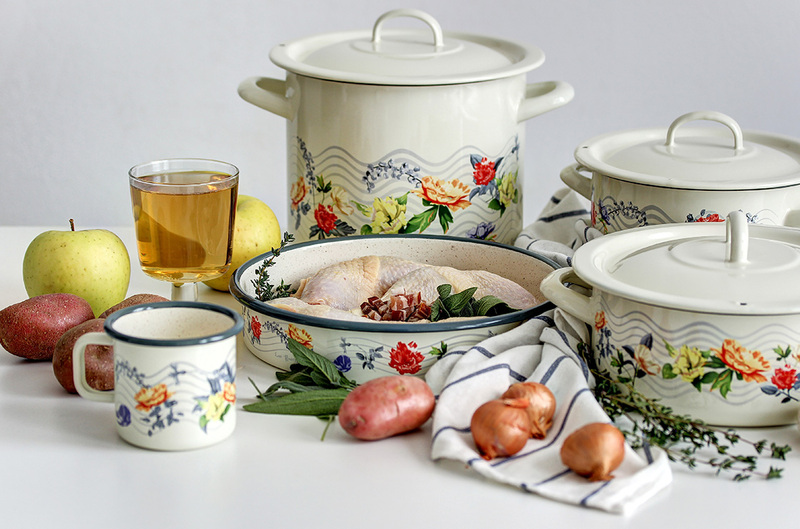 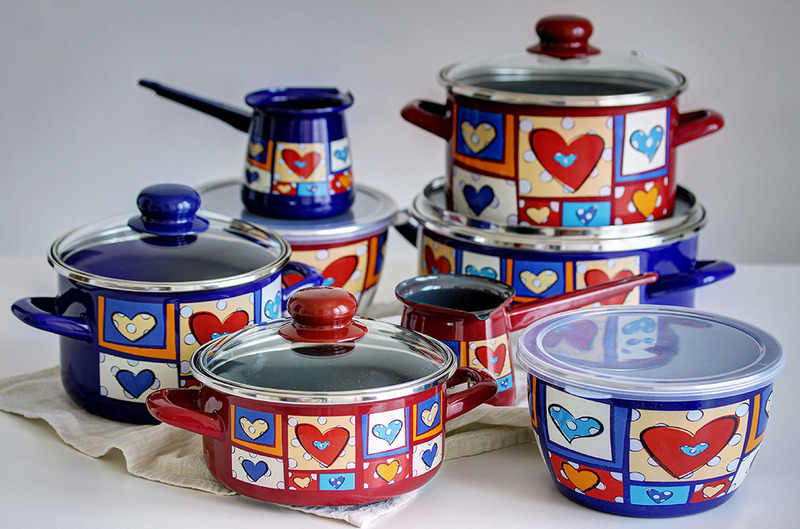 Homemade is always the best...Aromatic soups or broths made by mom's recipe, vibrant vegetable dishes, stews or casseroles prepared in enameled or stainless steel cookware of your choice. 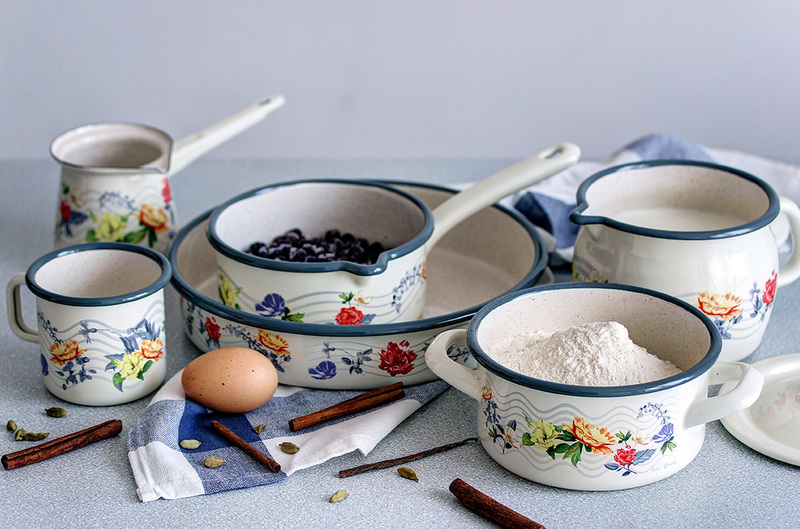 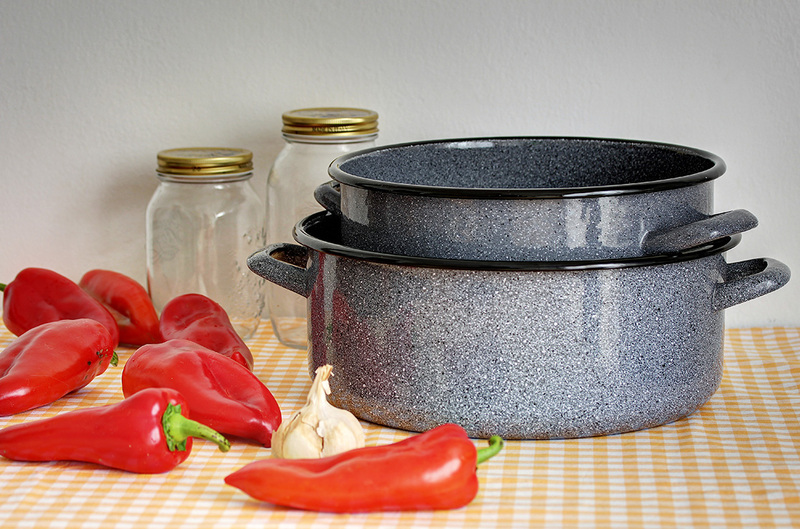 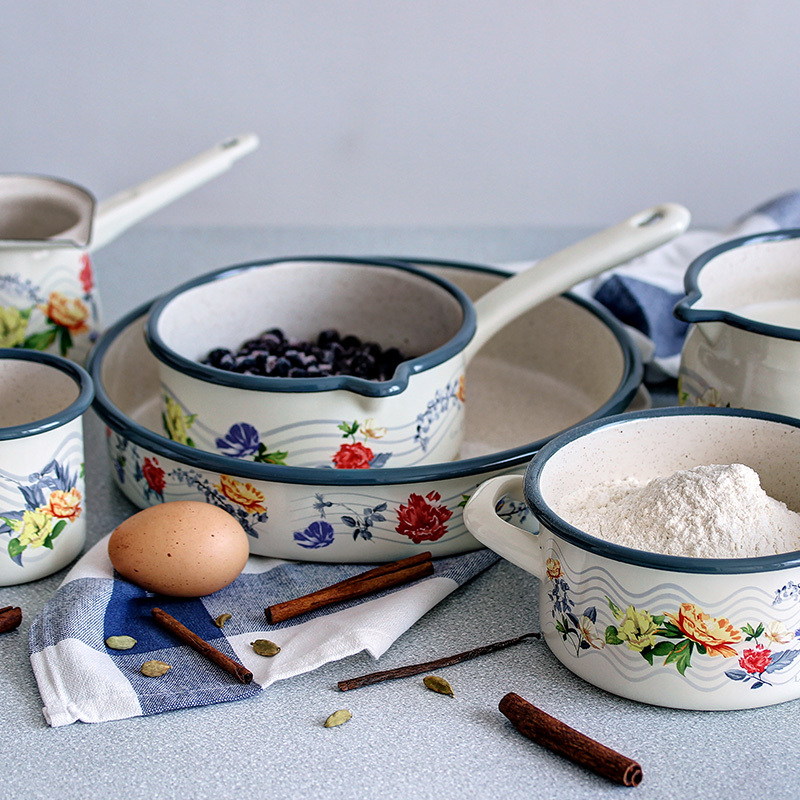 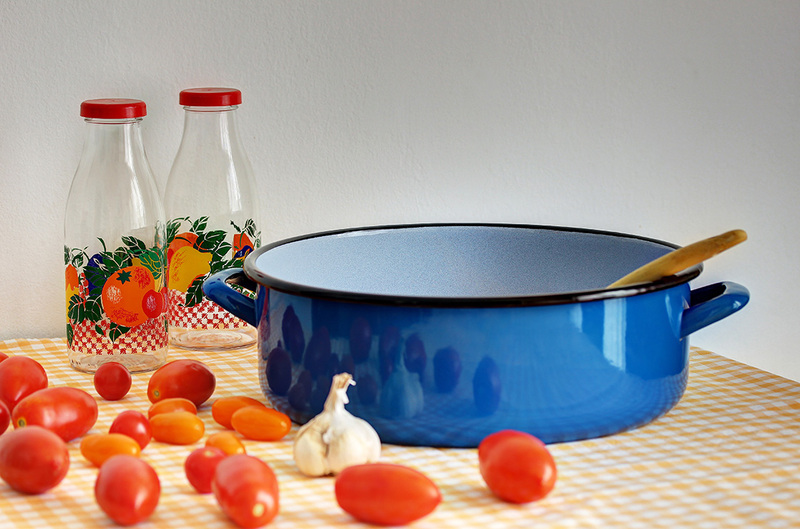 Handcrafted enameled cookware developed from traditional forms and culinary habits. Its trendy retro look. 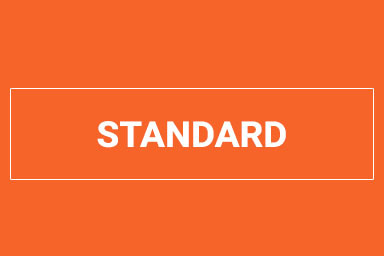 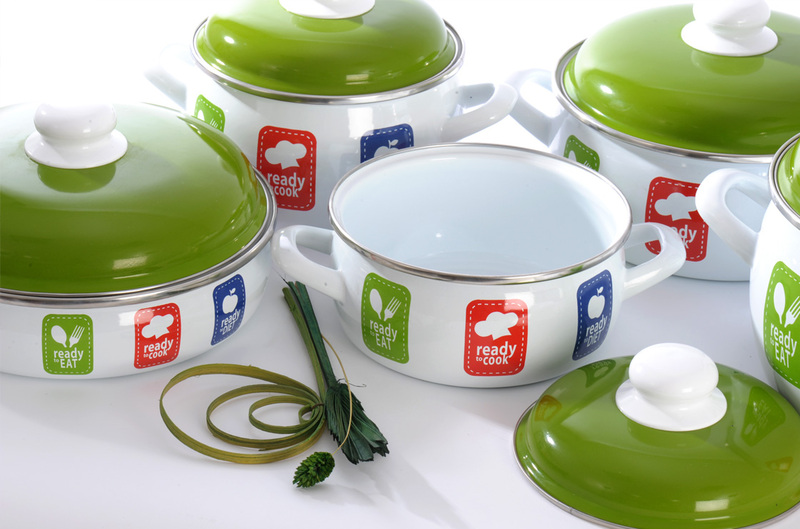 Standard cookware heats up quickly it is therefore energy saving. 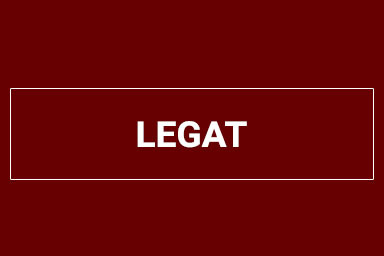 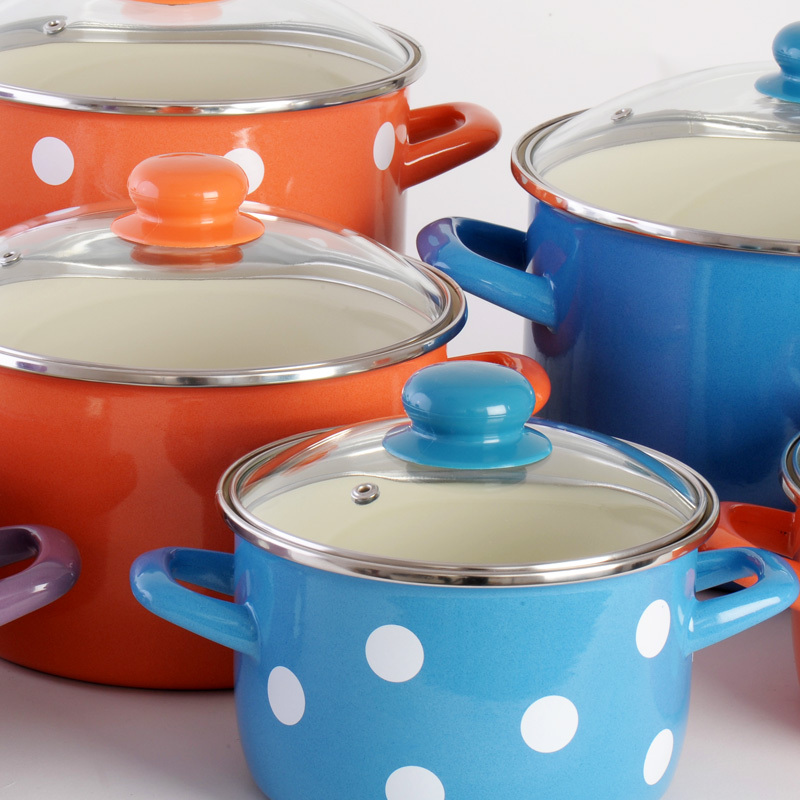 It resists high temperatures and acids generated during cooking it is wear and scratch resistant. 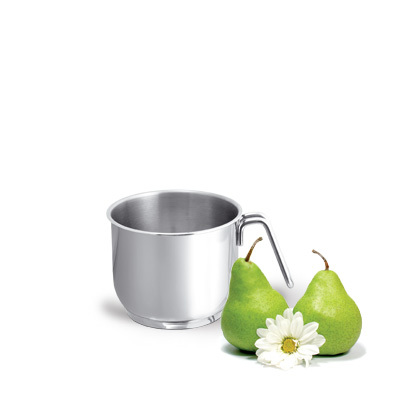 Enamel surface is bacteria repellant and non-allergic, easy to clean and maintain. 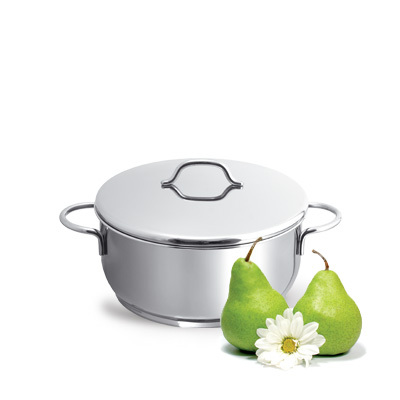 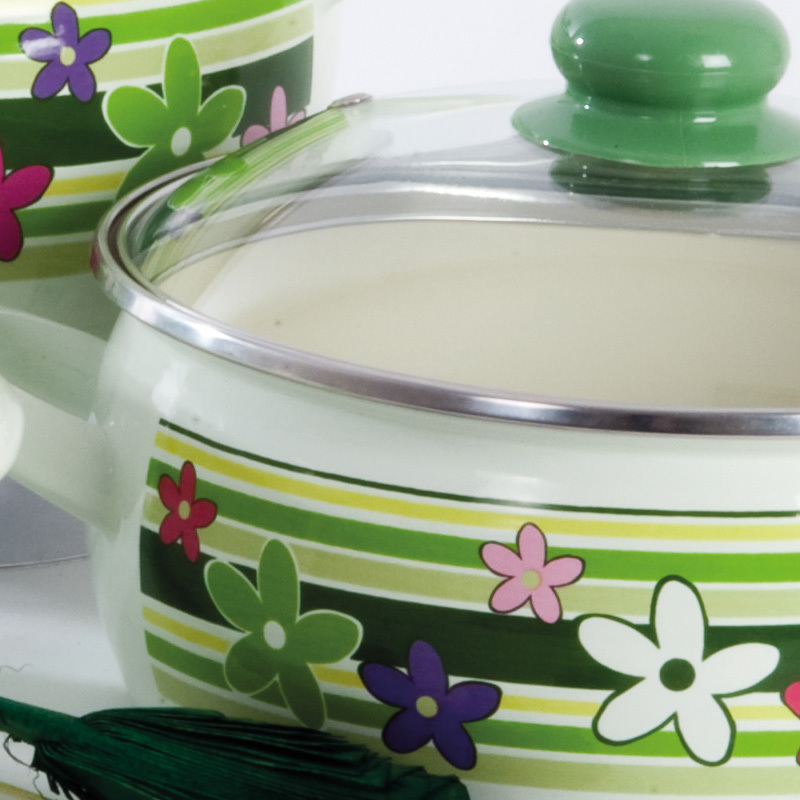 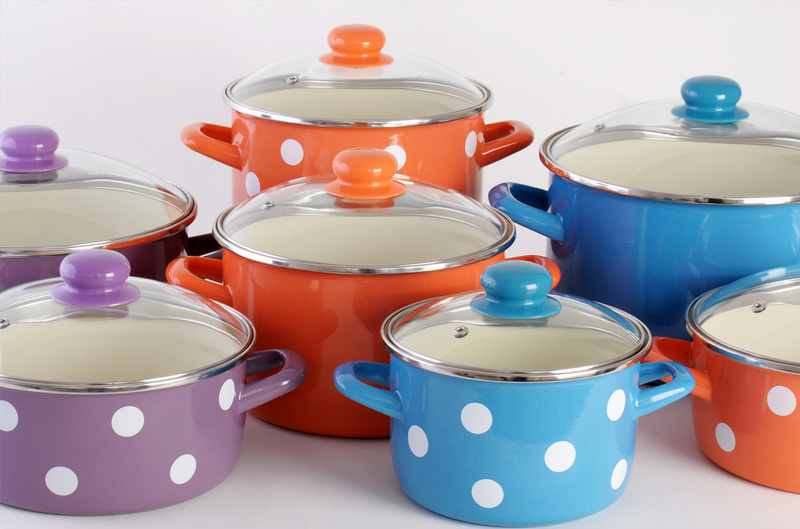 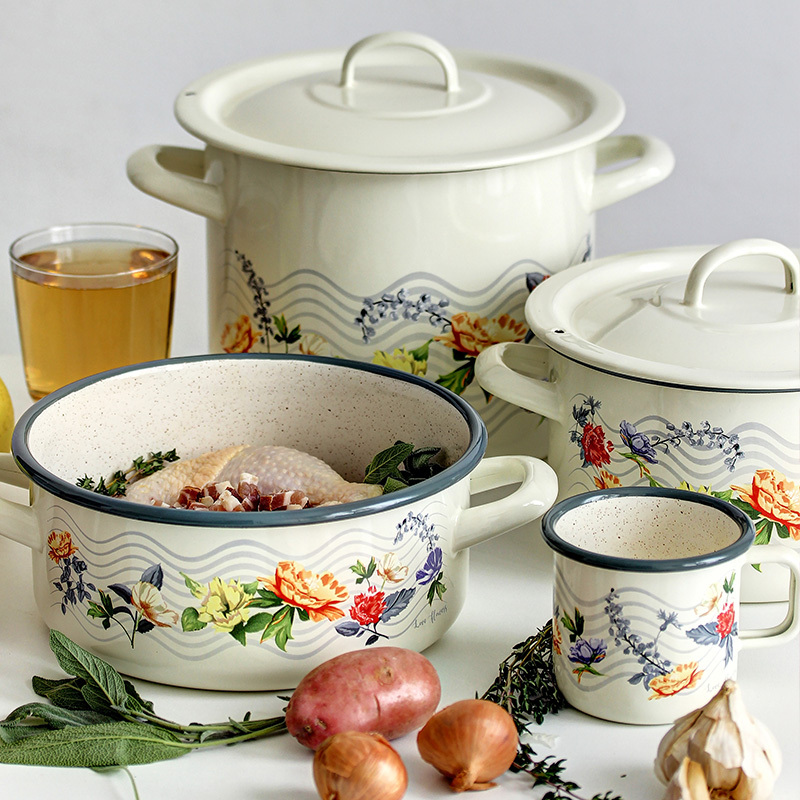 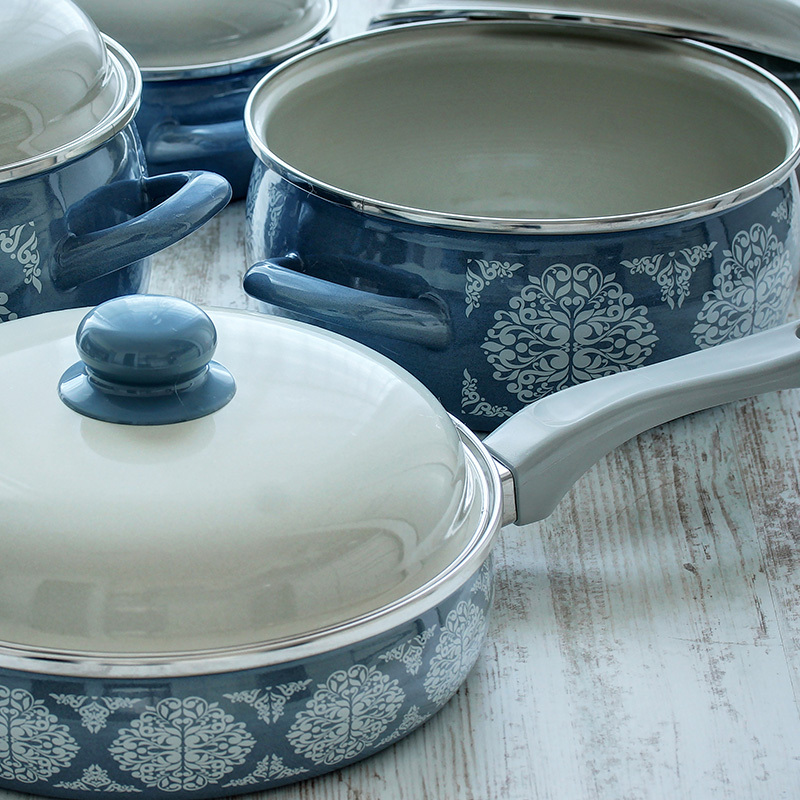 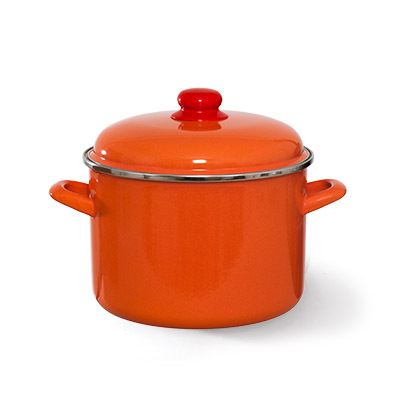 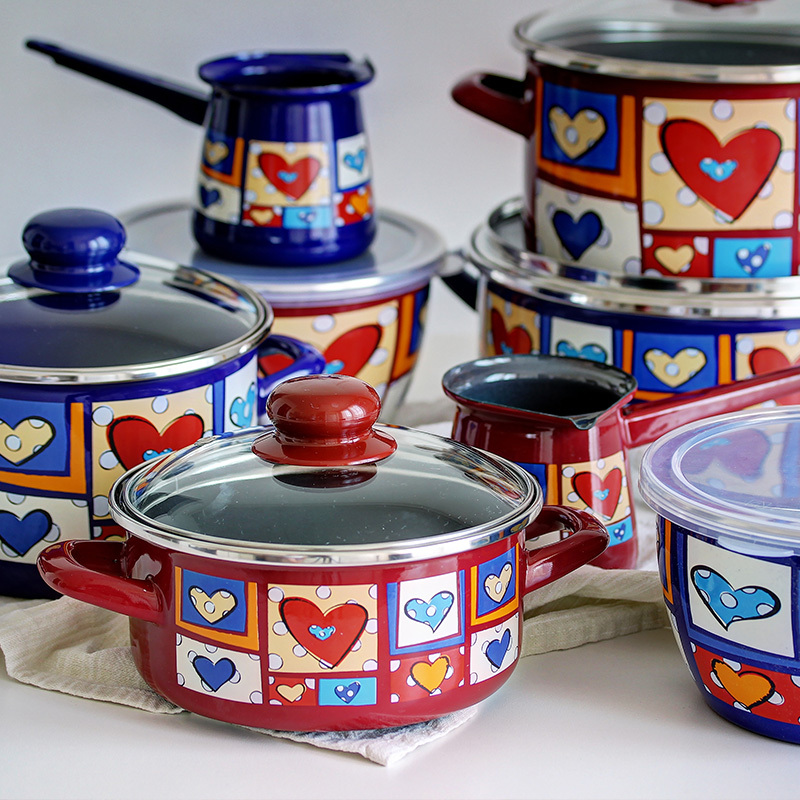 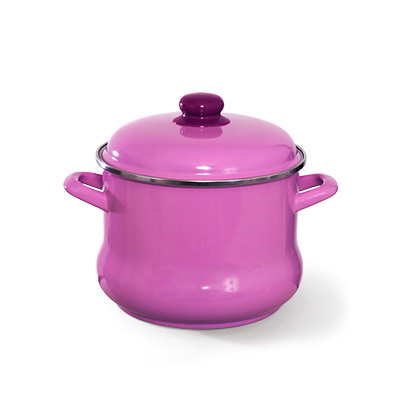 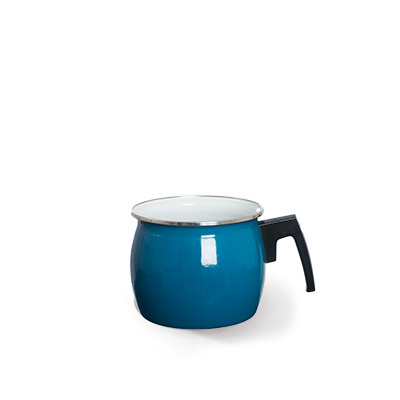 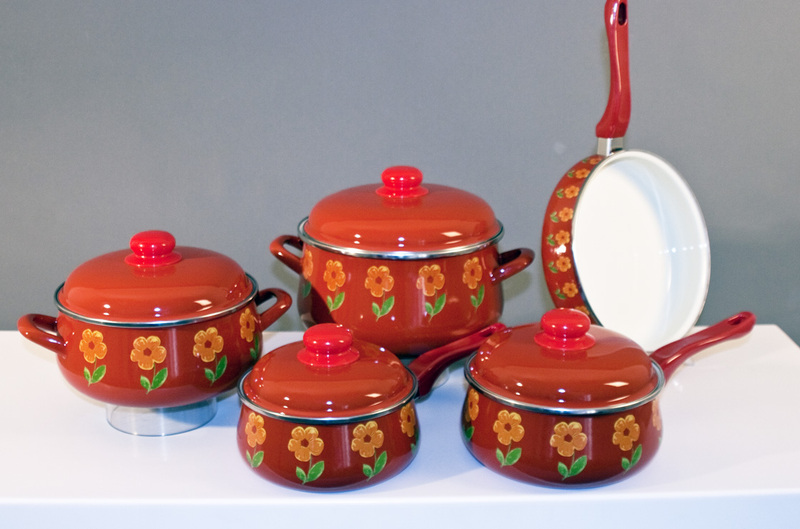 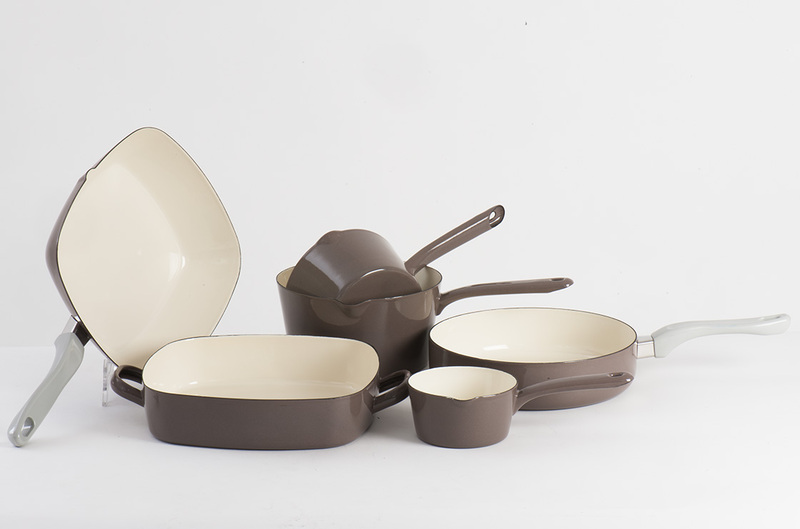 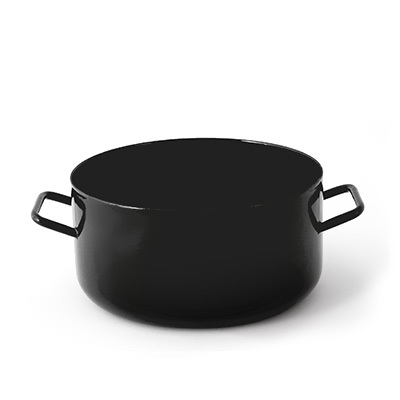 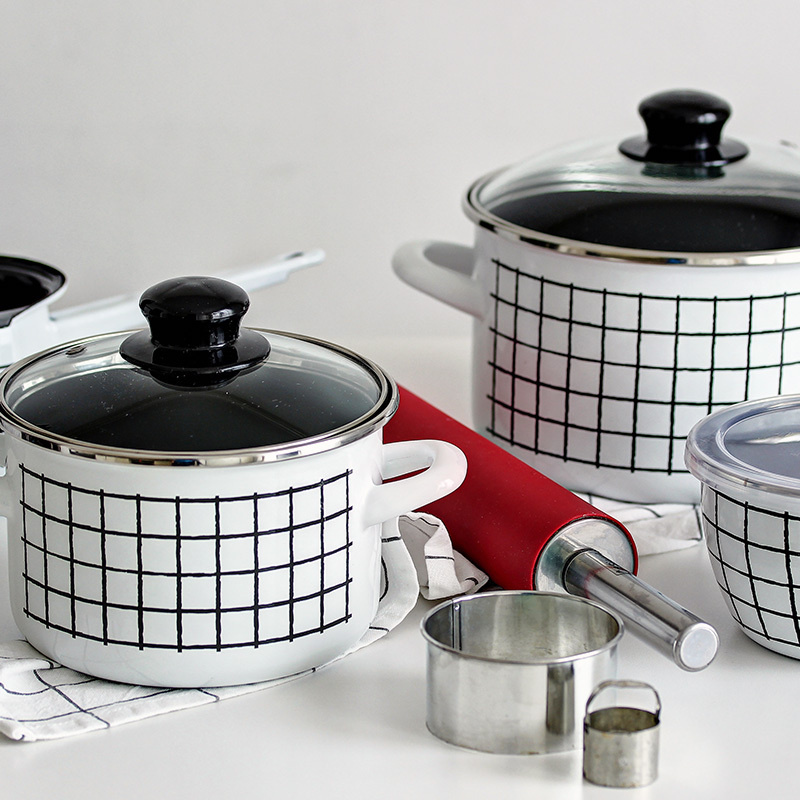 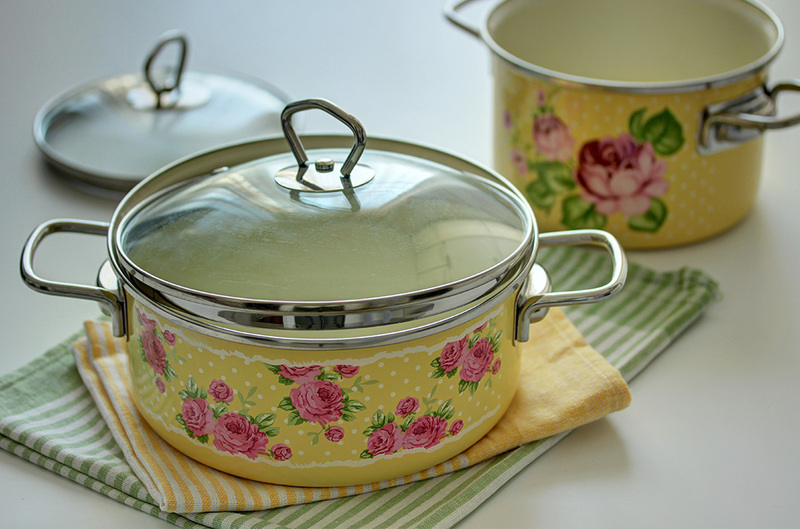 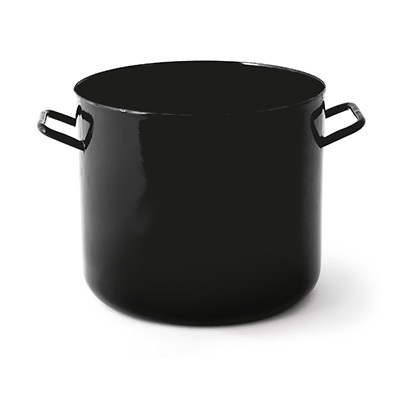 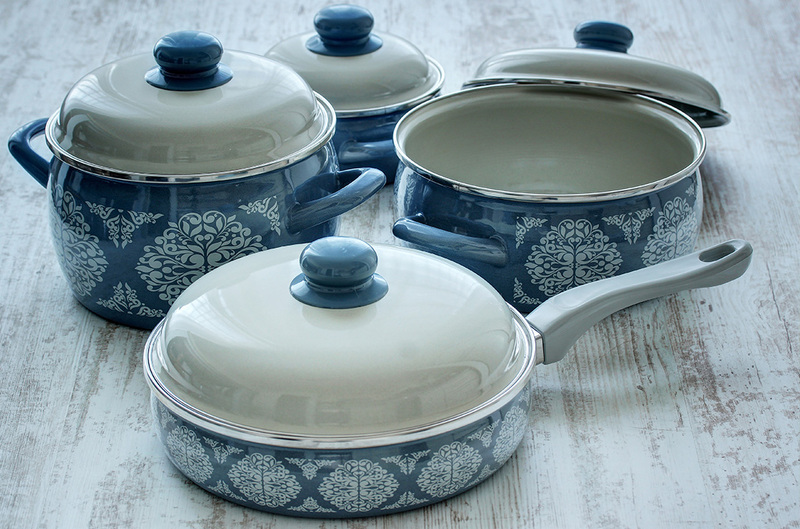 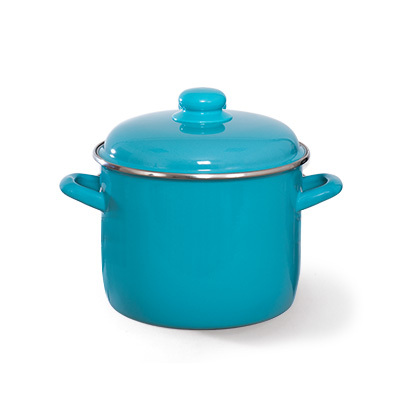 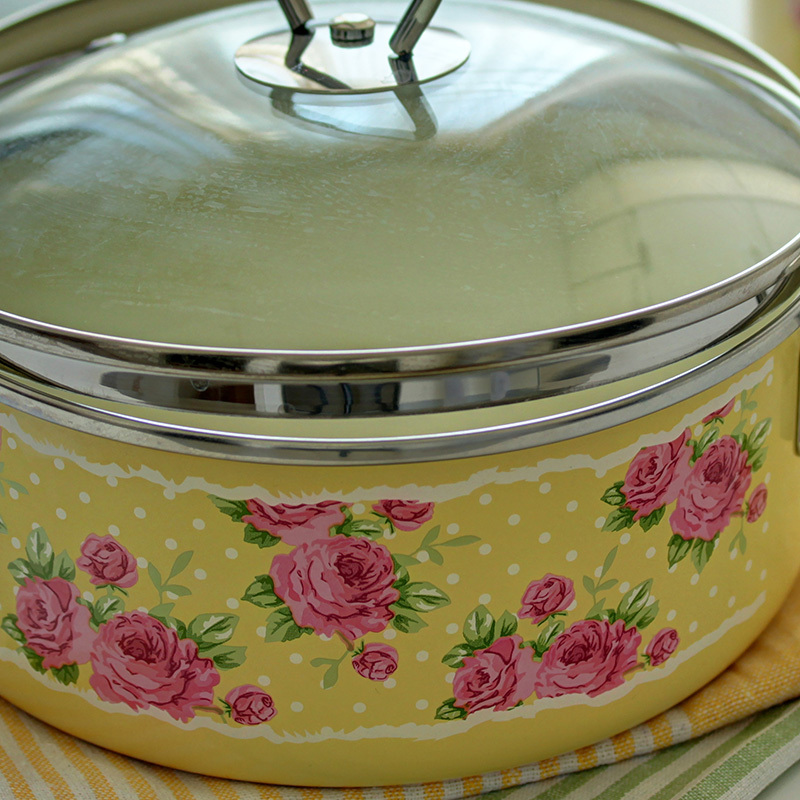 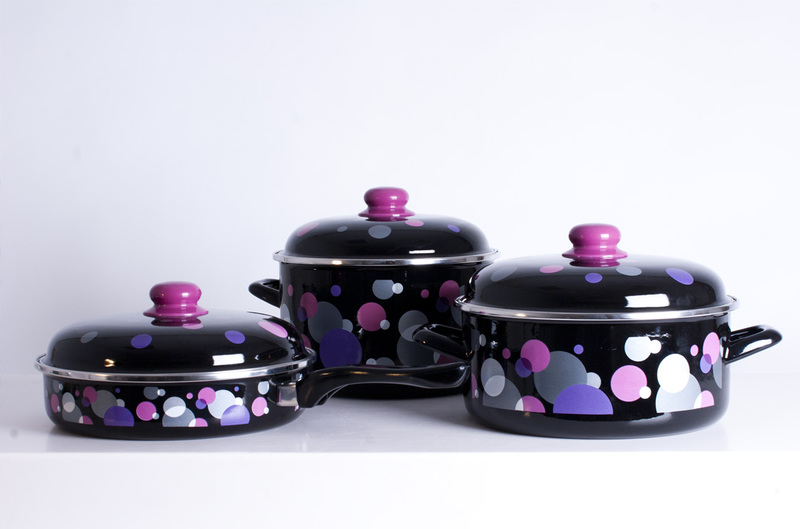 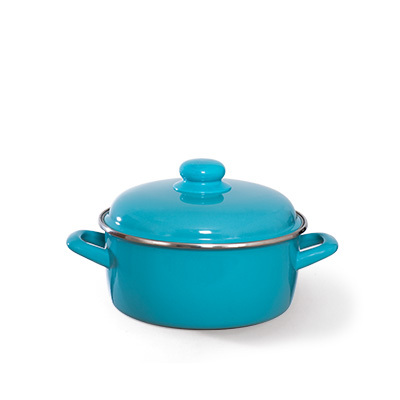 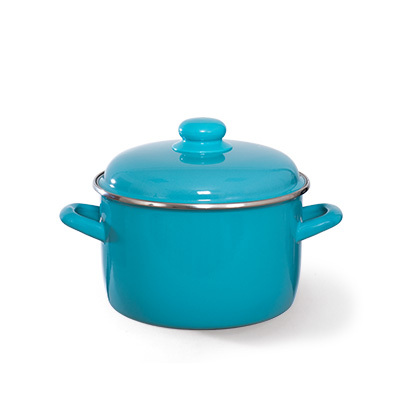 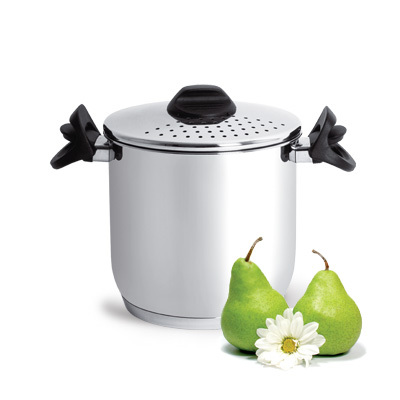 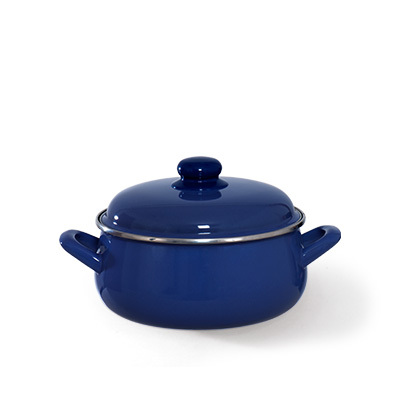 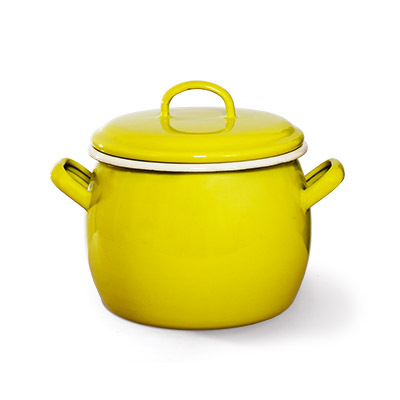 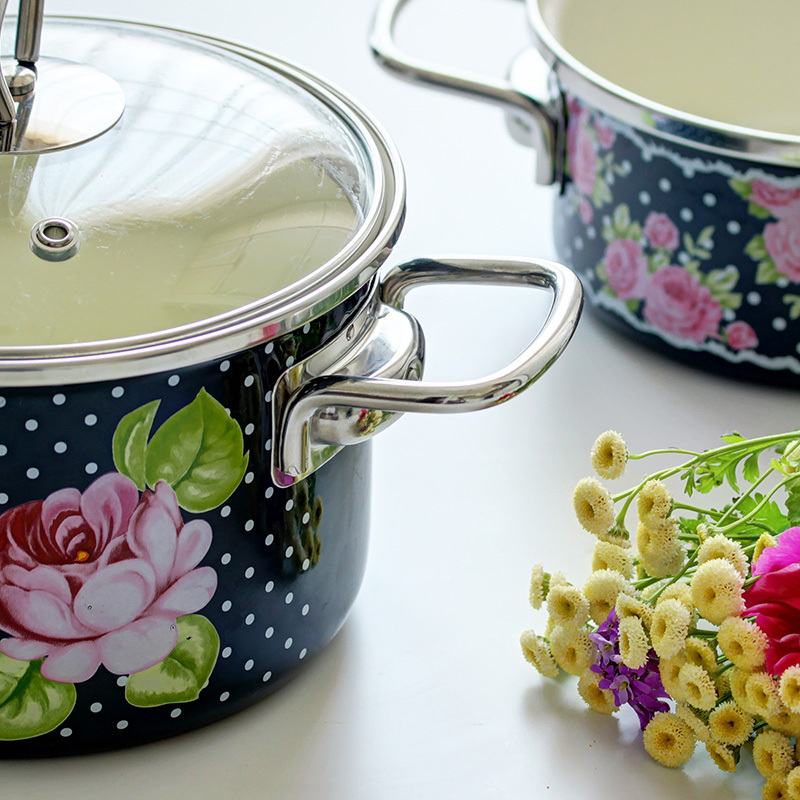 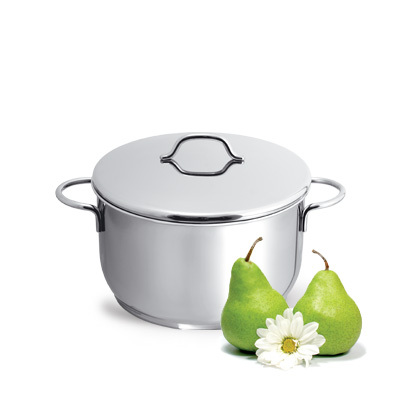 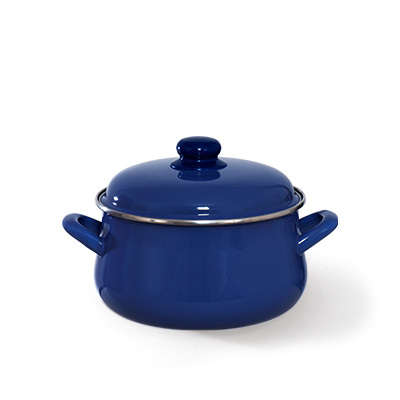 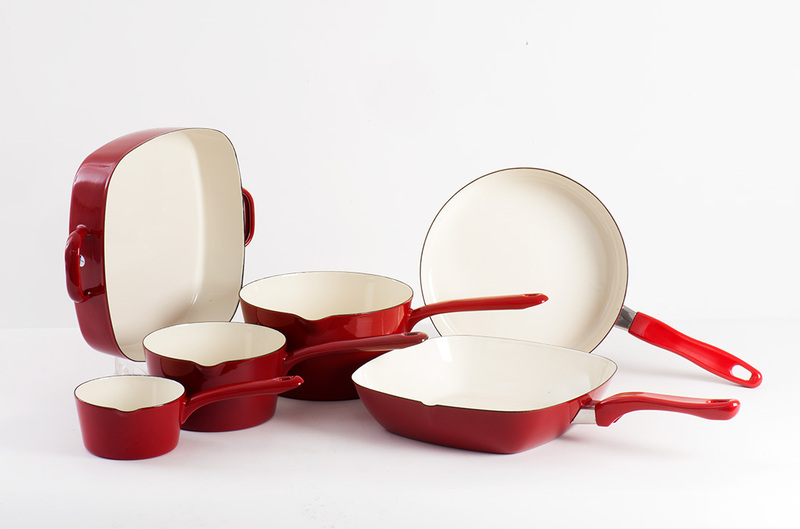 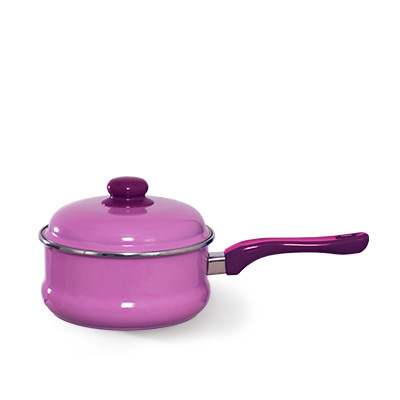 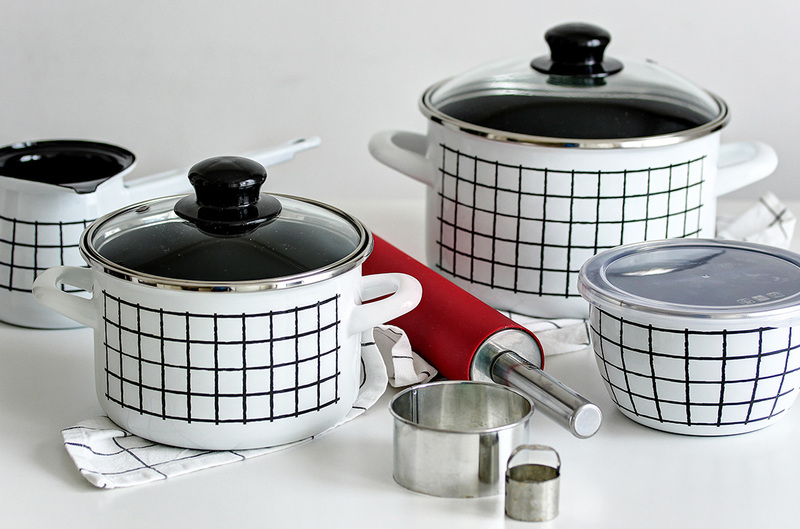 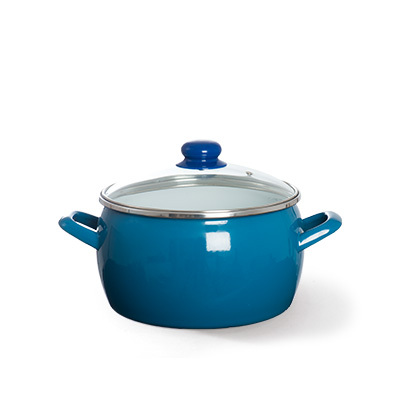 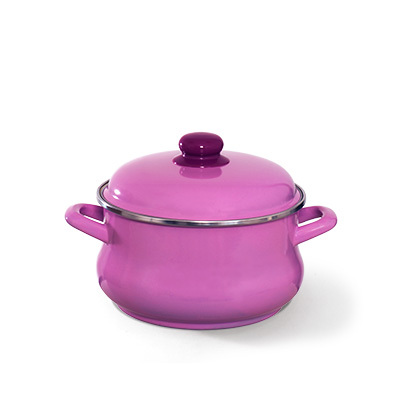 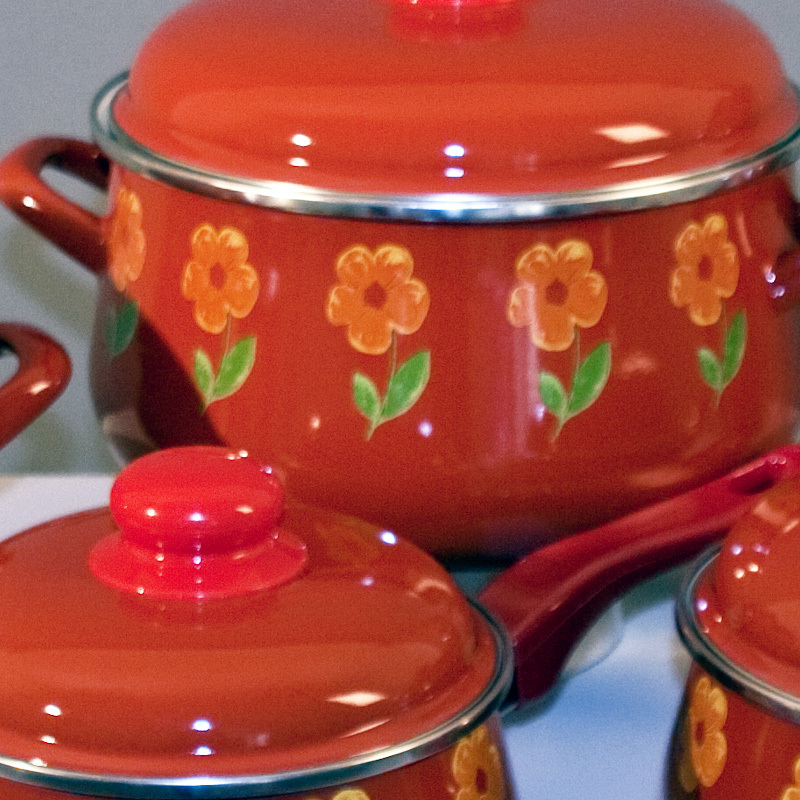 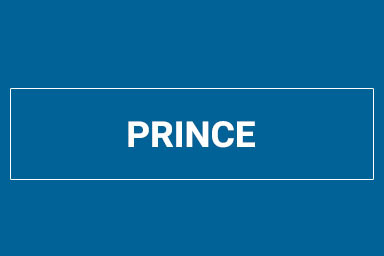 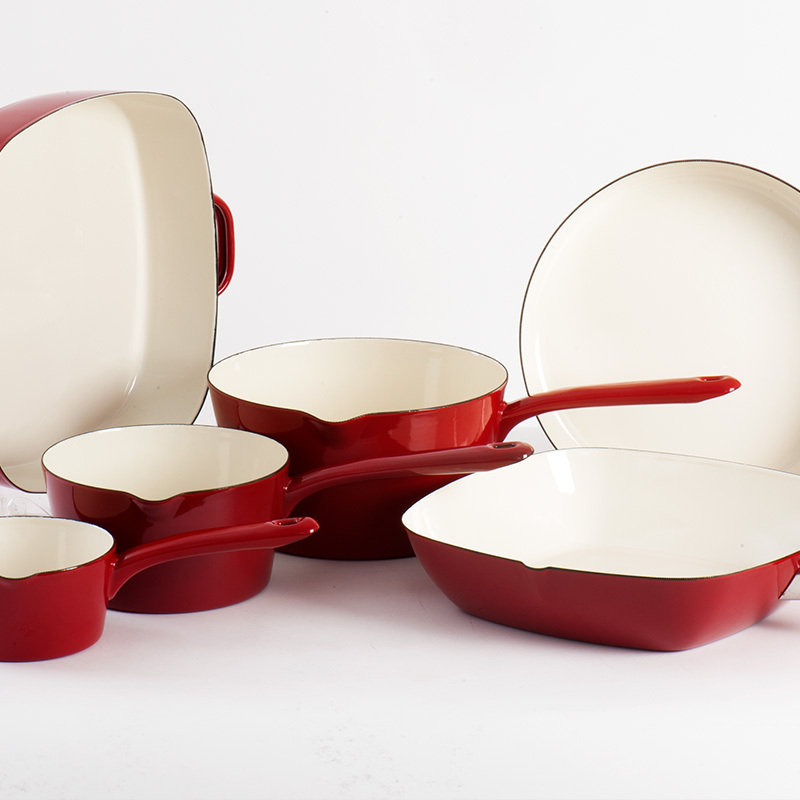 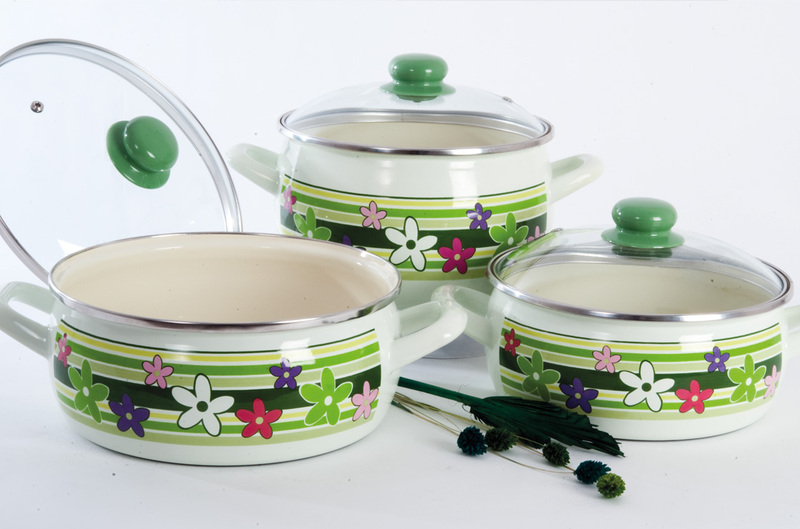 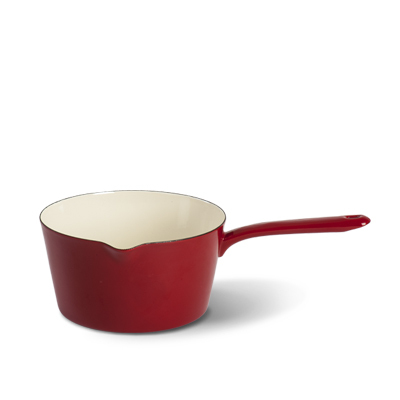 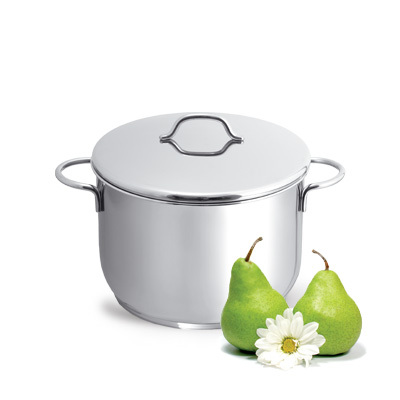 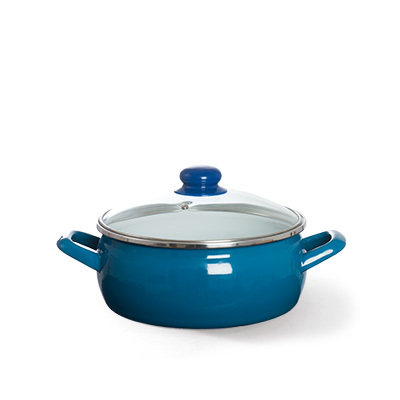 Princ collection is a part of standard enamel cookware in various shapes. 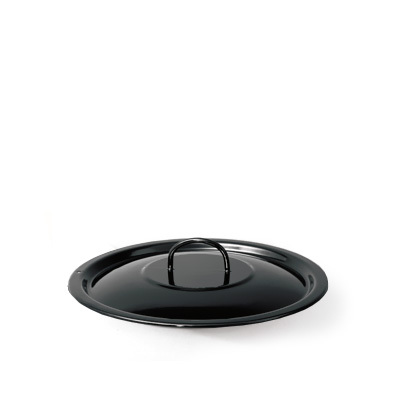 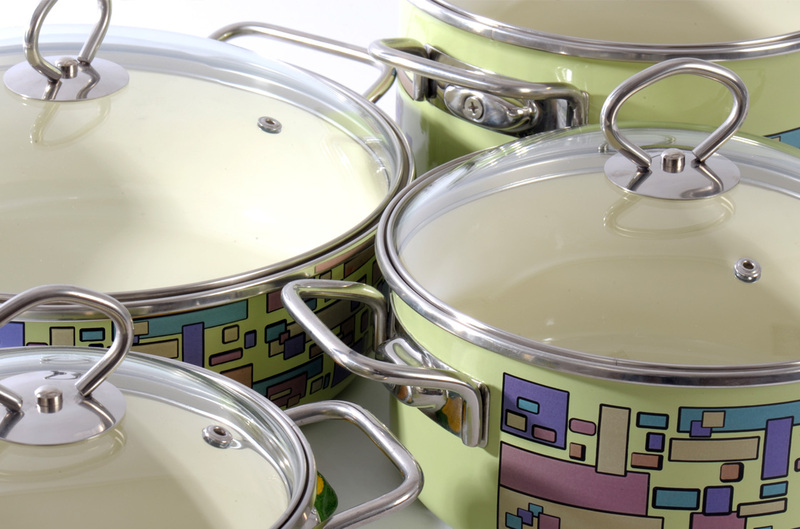 It is made of enamel steel in combination with stainless steel rim and variation of bakelite accessories. 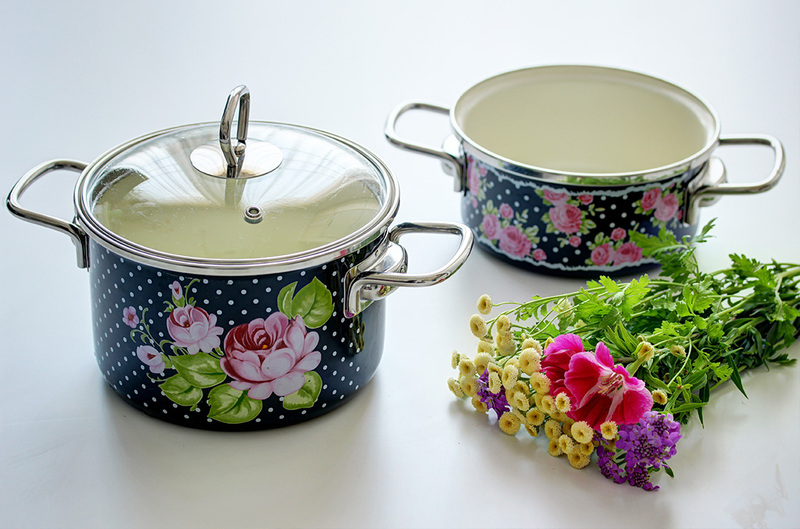 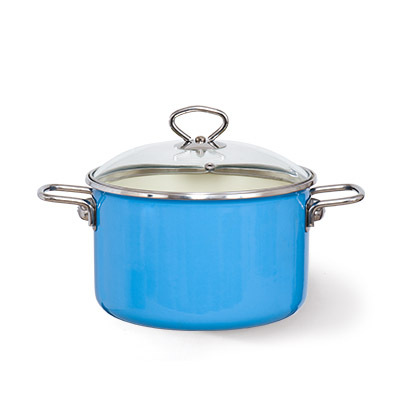 Elegant enamel cookware collection combines enameled body with stainless steel rim and variations of stainless steel, glass or bakelite accessories. 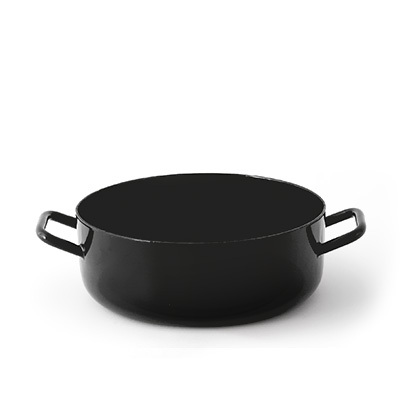 It`s offered in regular or luxury version depending on steel thickness. 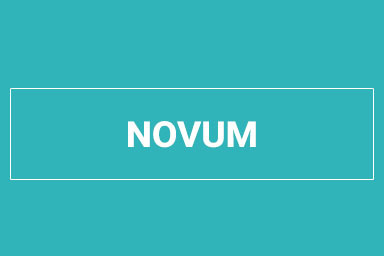 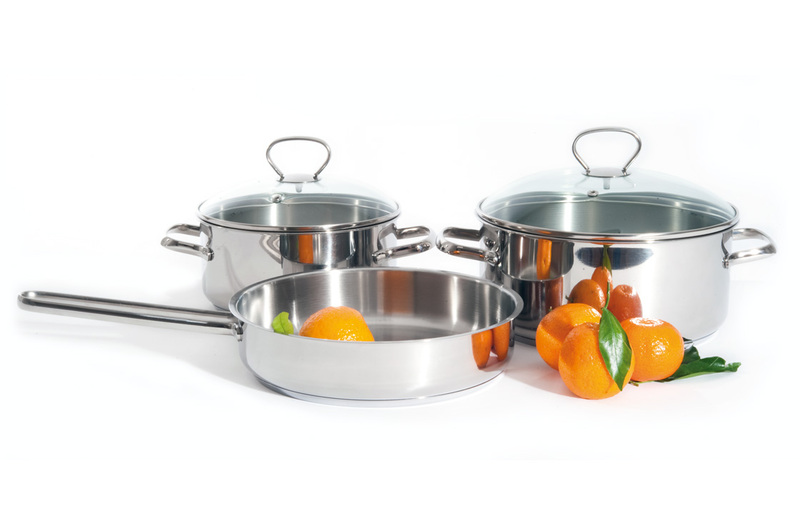 Novum line of cookware is a part of standard enamel cookware with stainless steel rim and metal or glass lid. 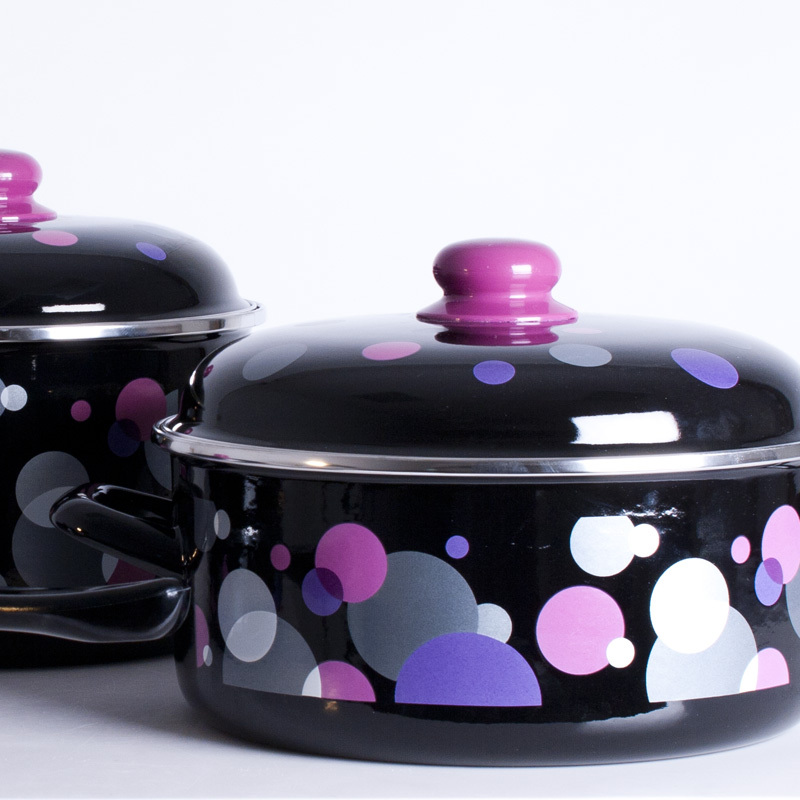 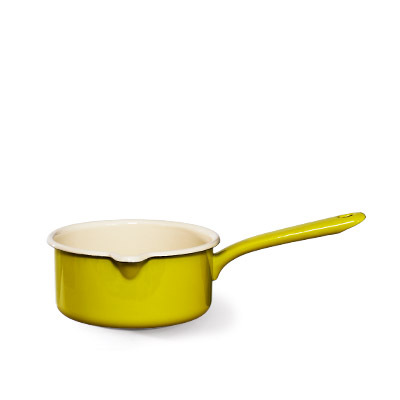 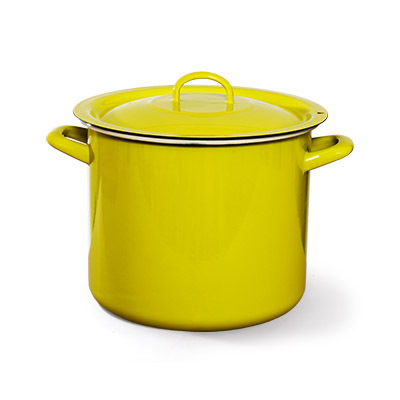 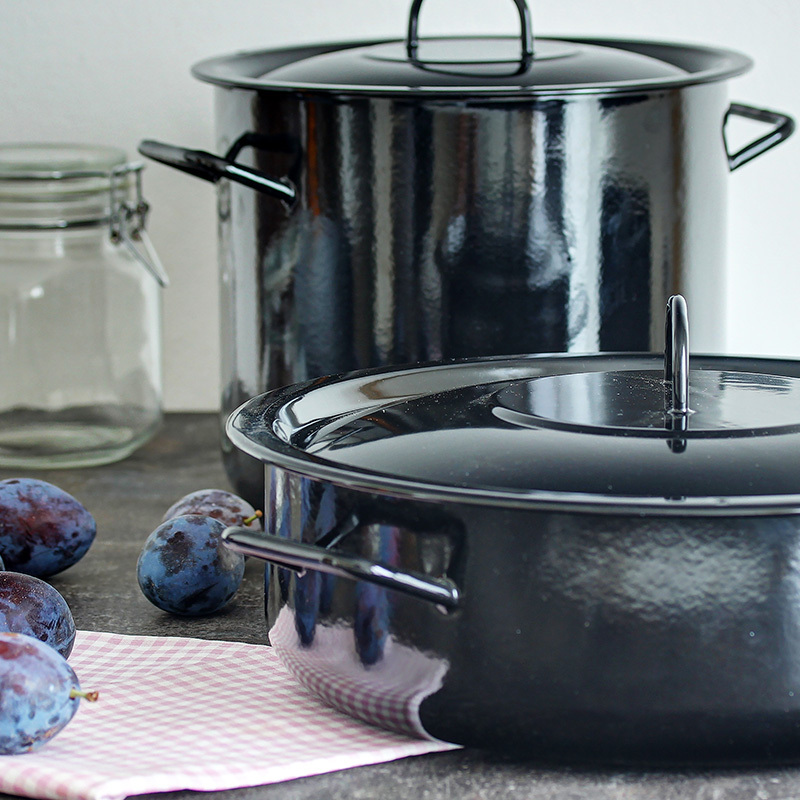 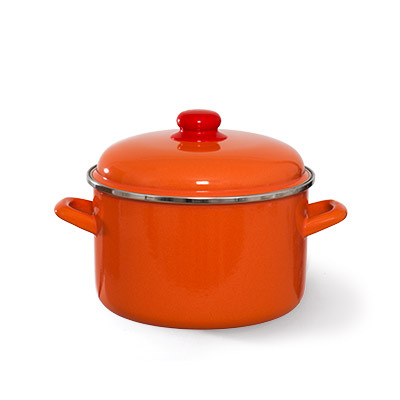 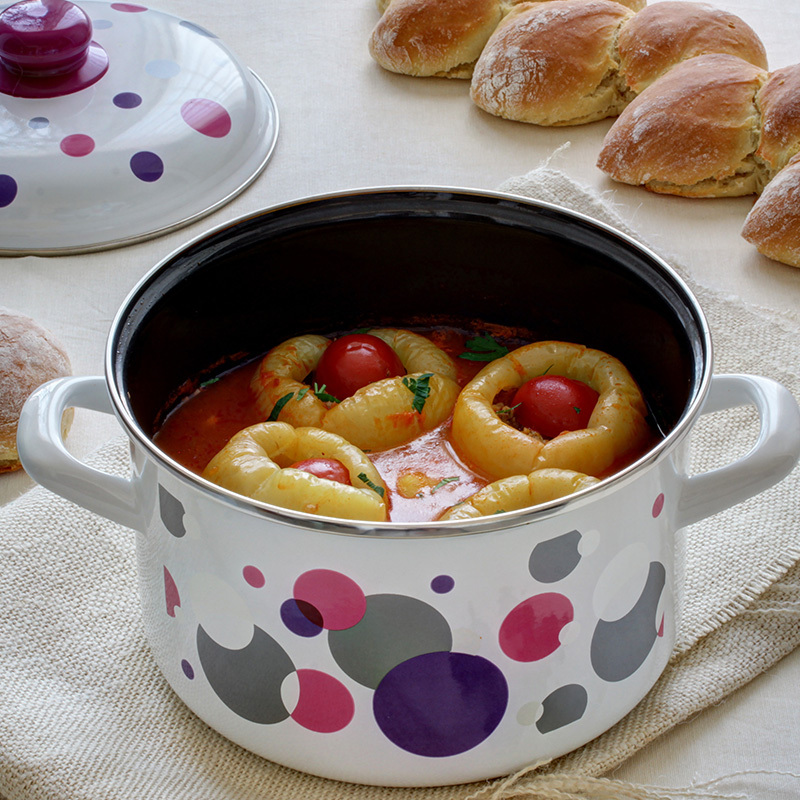 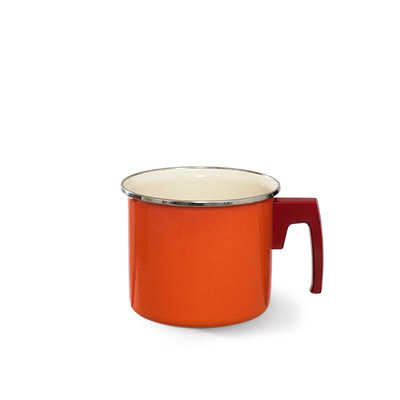 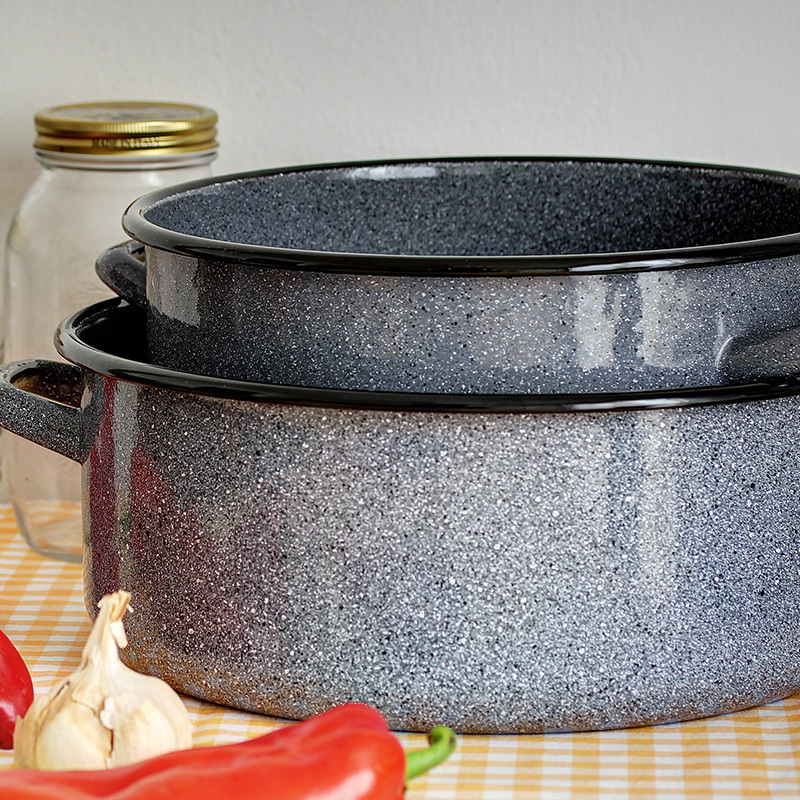 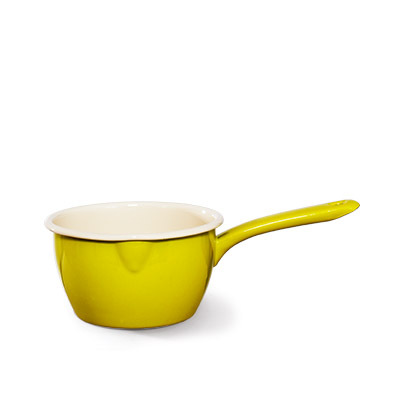 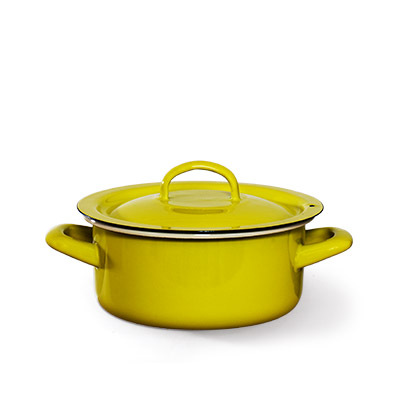 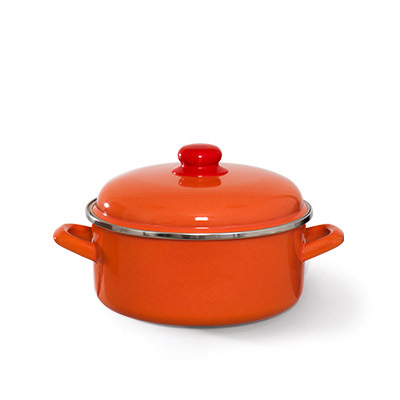 Emina collection belongs to the group of standard enamel cookware, but different by shape. 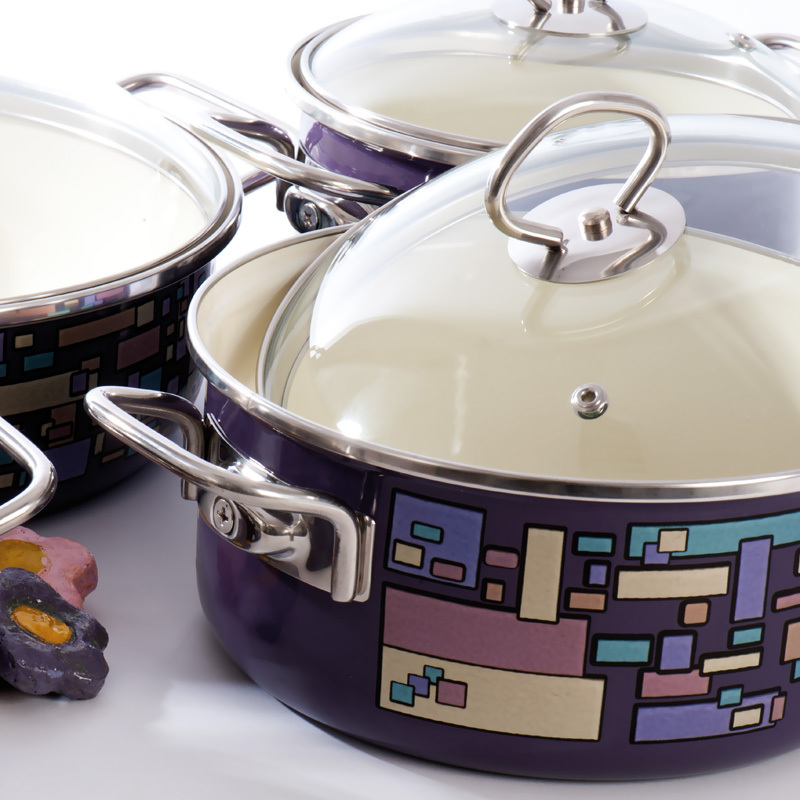 Different combinations of colors, elements and stainless steel, glass and bakelite accessories are possible. 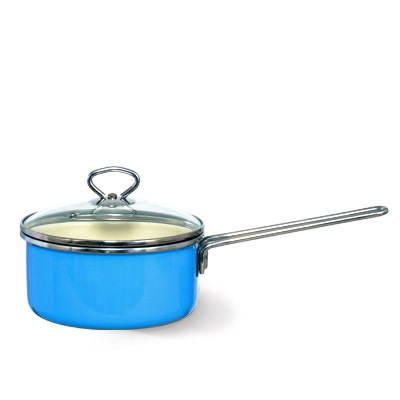 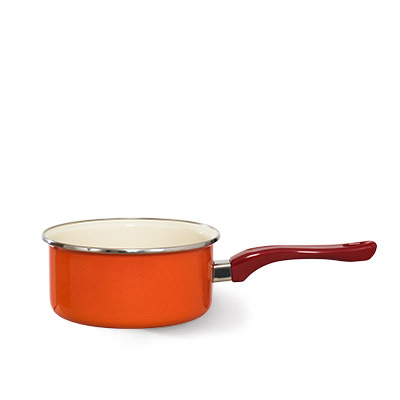 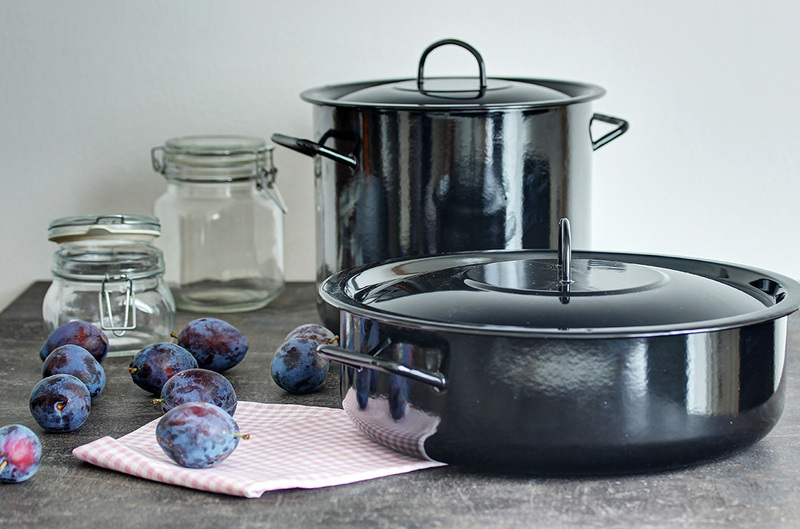 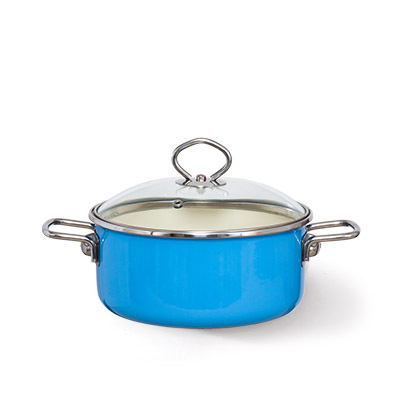 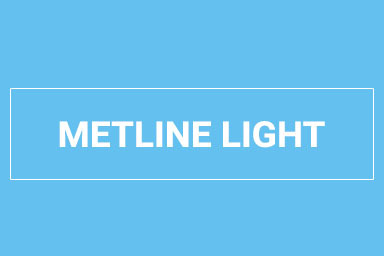 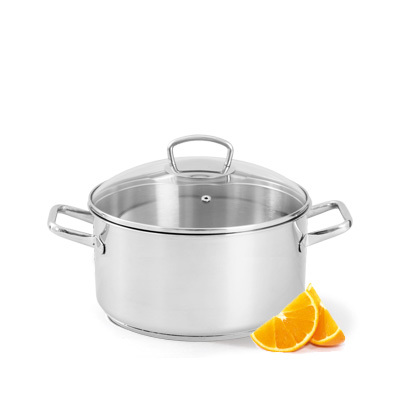 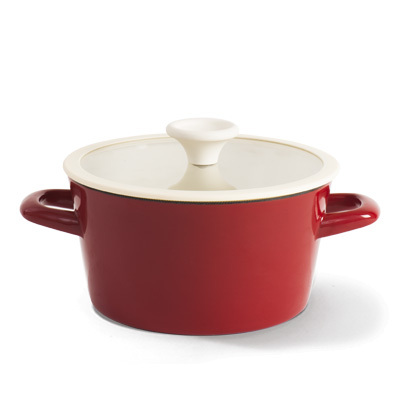 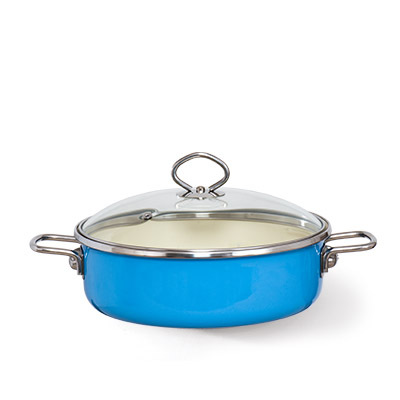 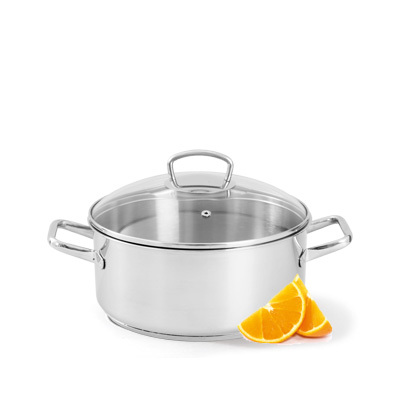 Metline collection represents perfection in enamel cookware – effective combination of enamel, stainless steel elements and glass lids with vent hole. 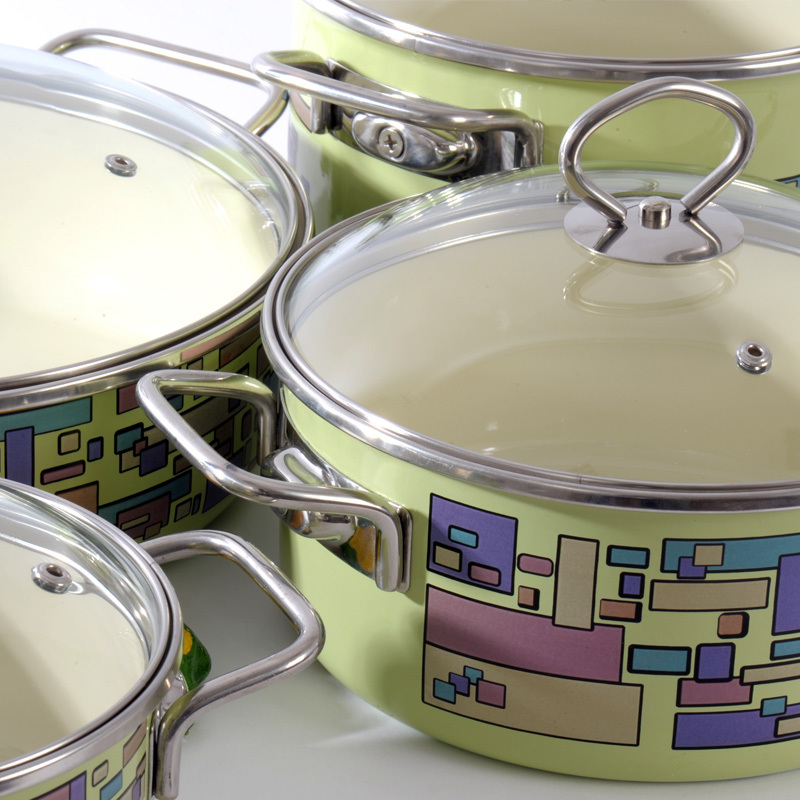 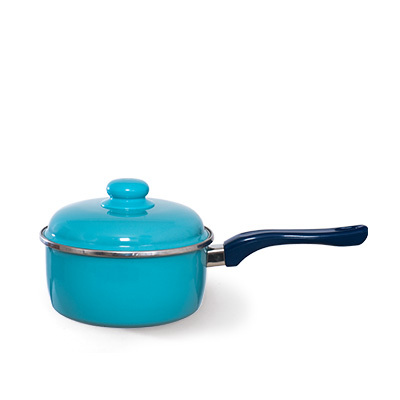 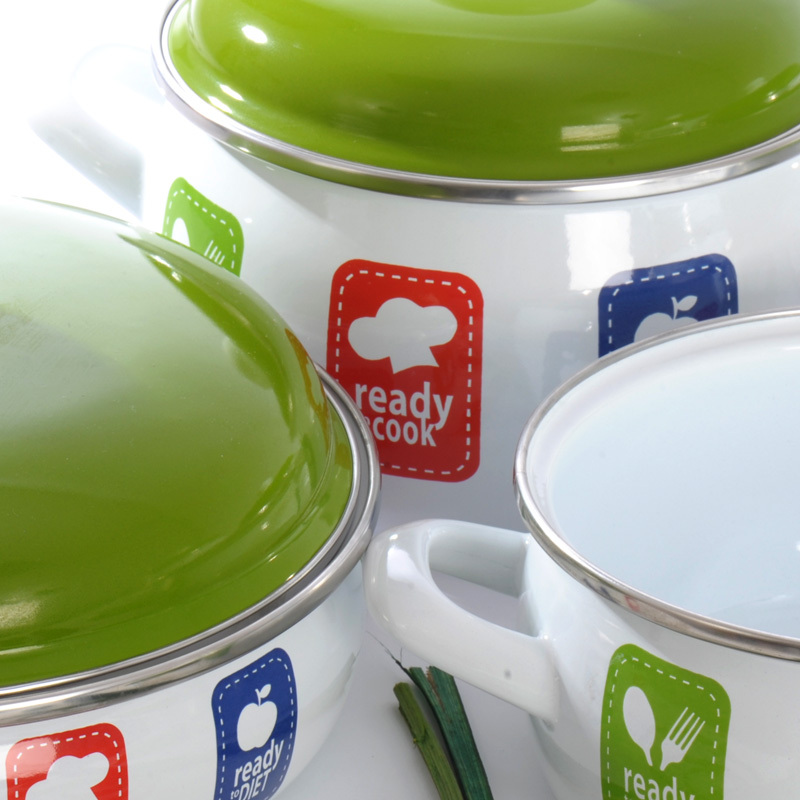 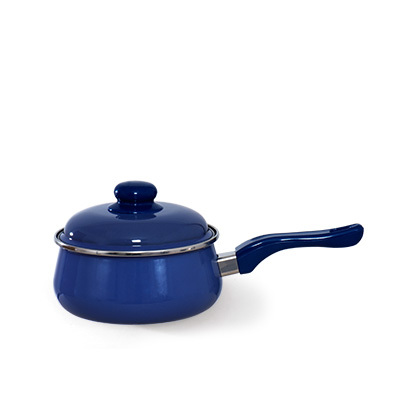 Enamel on steel cookware made of top quality materials with state-of art production technology. 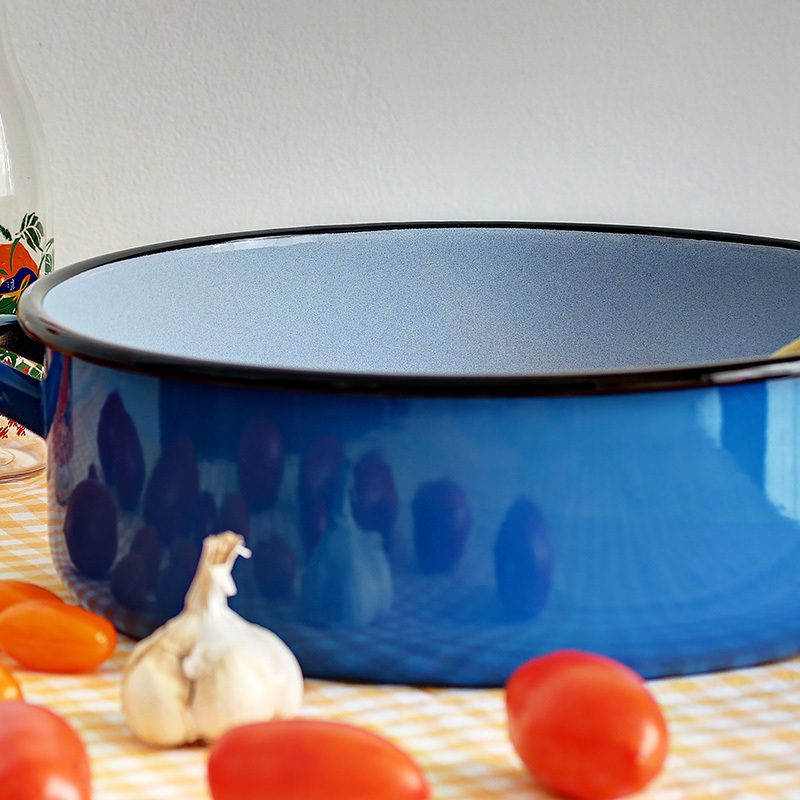 Contemporary design , resistivity to high temperatures, damages and scratches, usable with induction, these are the main features of this cookware, an excellent choice for the family and healthy cooking to keep 100% authentic aromas and tastes. 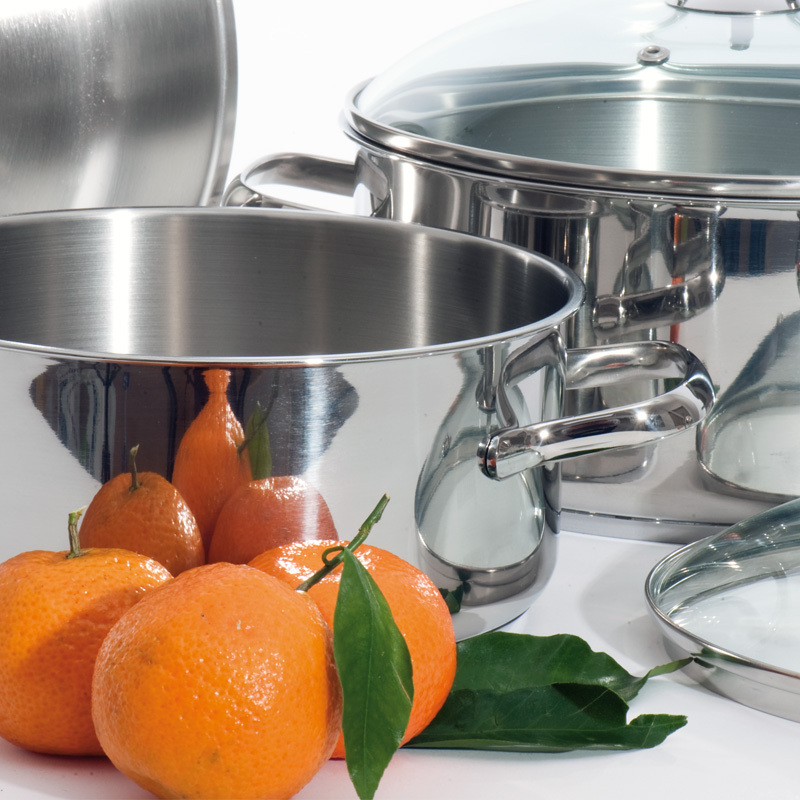 Economic version of stainless steel cookware made of top quality steel. 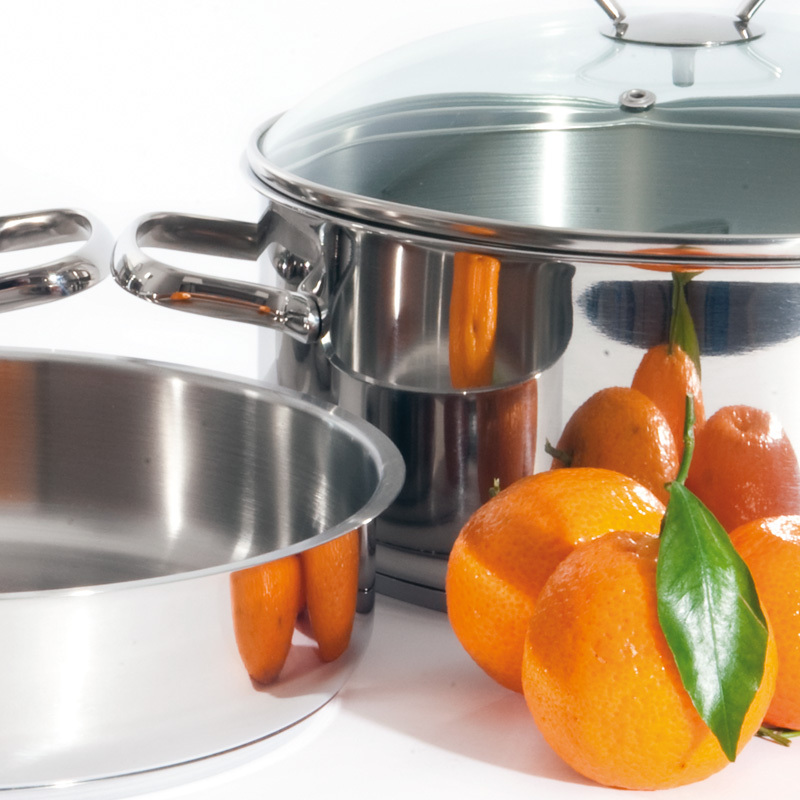 Thanks to material properties stainless steel cookware is long life and practically non-destroyable. 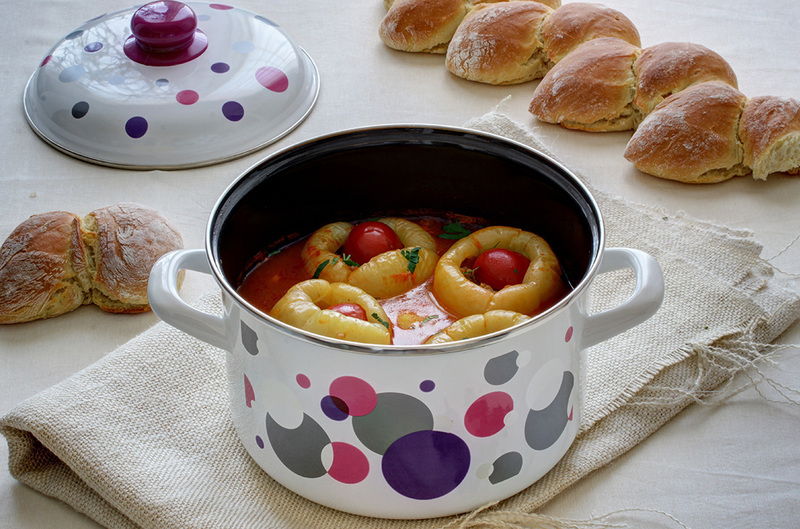 Its state-of-art design with heat accumulating capsule bottom gives maximum performance to this rich material – cooking at lower temperatures without water and roasting without grease, up to 70% energy saving and preserving minerals and vitamins, will keep your meal warm for as long as 8 hours. 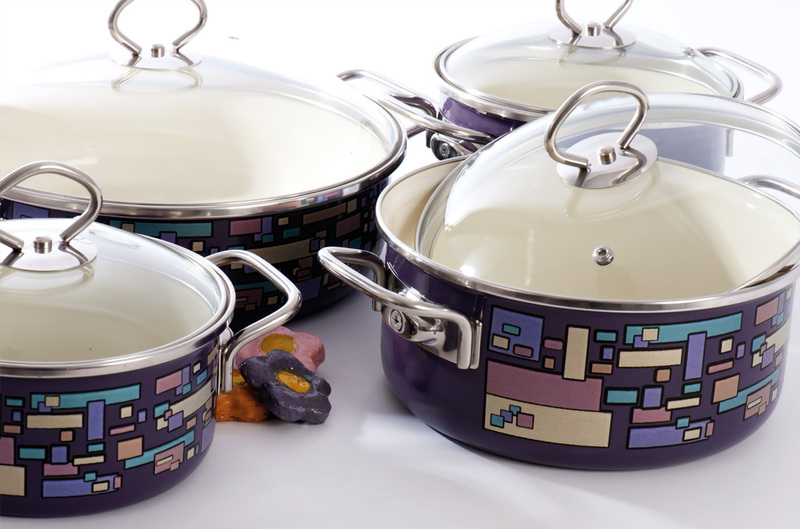 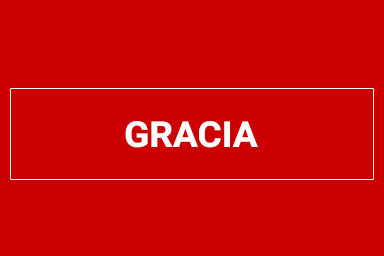 Gracia collection is made of top quality stainless steel. 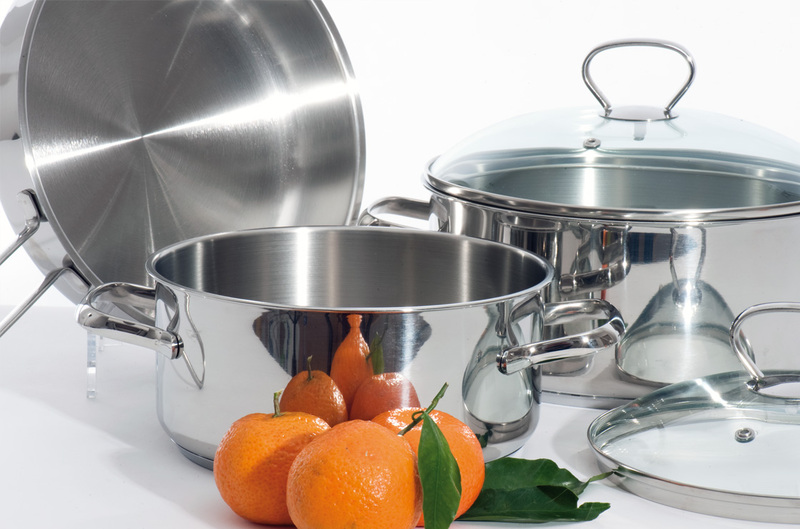 Thanks to material properties stainless steel cookware is long life and practically non-destroyable. 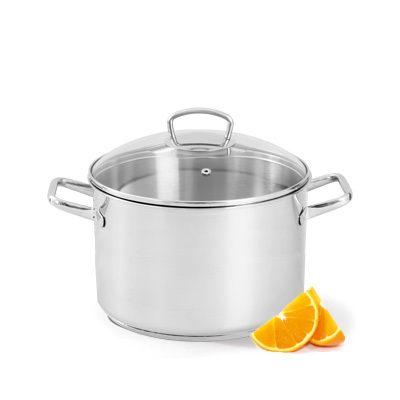 Its state-of-art design with heat accumulating capsule bottom gives maximum performance to this rich material – cooking at lower temperatures without water and roasting without grease, up to 70% energy saving and preserving minerals and vitamins, will keep your meal warm for as long as 8 hours. 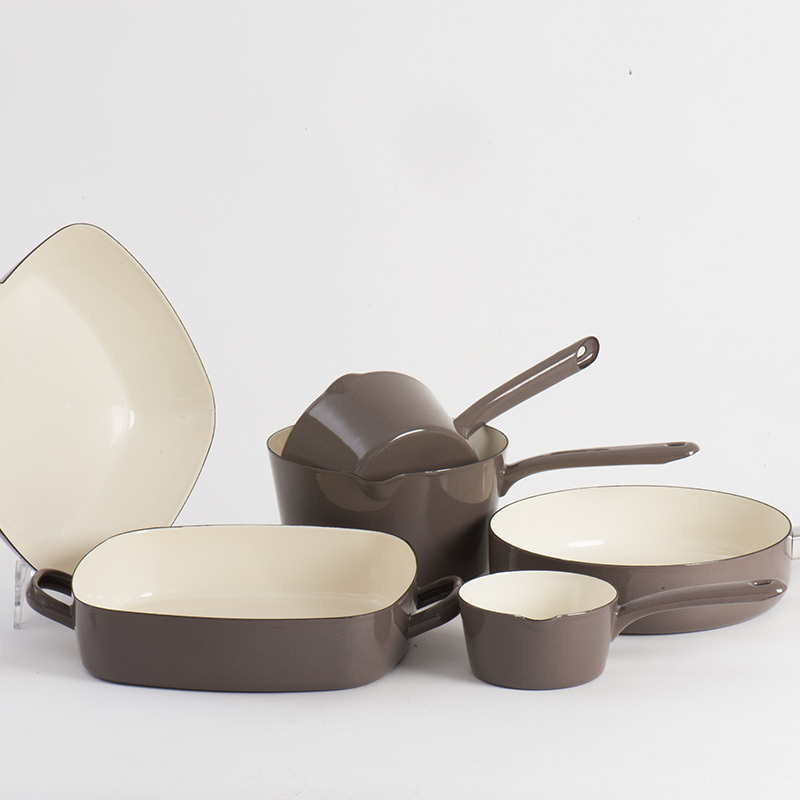 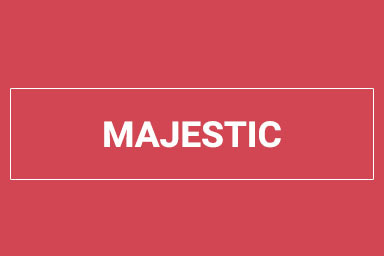 Masiv is a heavy duty enamel cookware collection made of very thick steel sheet with exceptional characteristics, designed for long simmering at moderate temperatures.